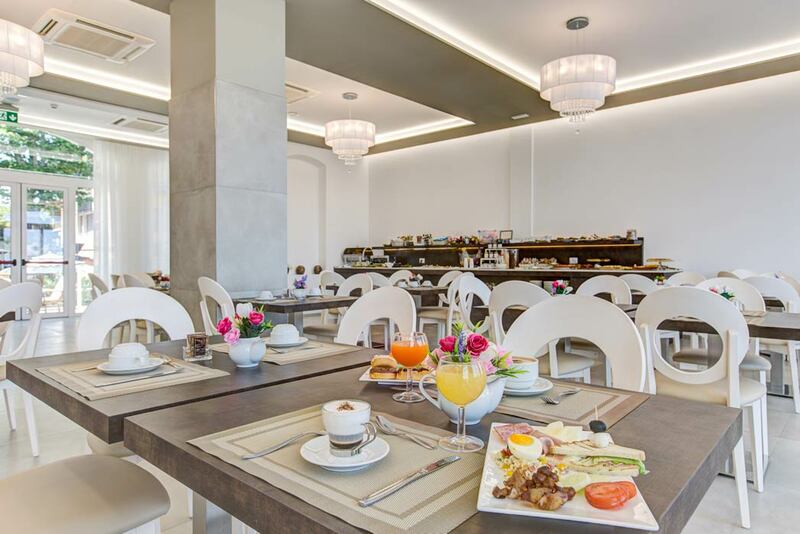 Those who experience the night life of Rimini can have breakfast at the hotel until late in the day: the generous buffet is served until noon! 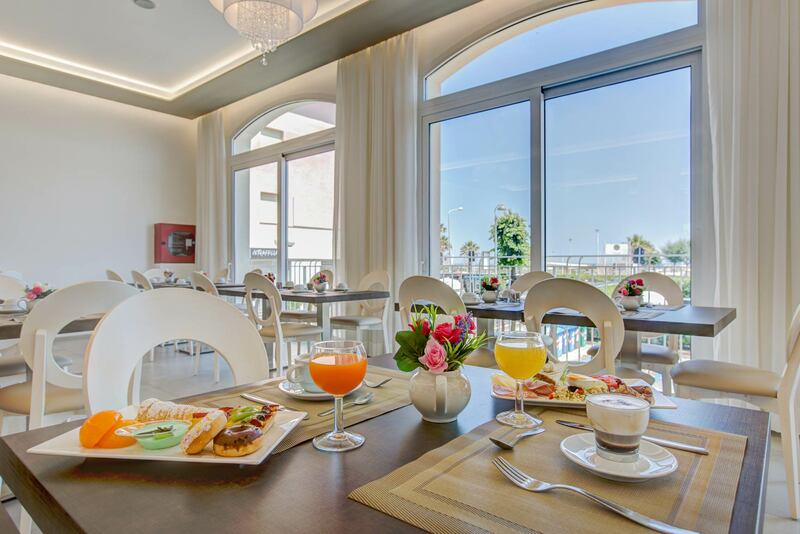 Every morning you can enjoy a delicious breakfast in your room or in our bright breakfast hall overlooking the sea. 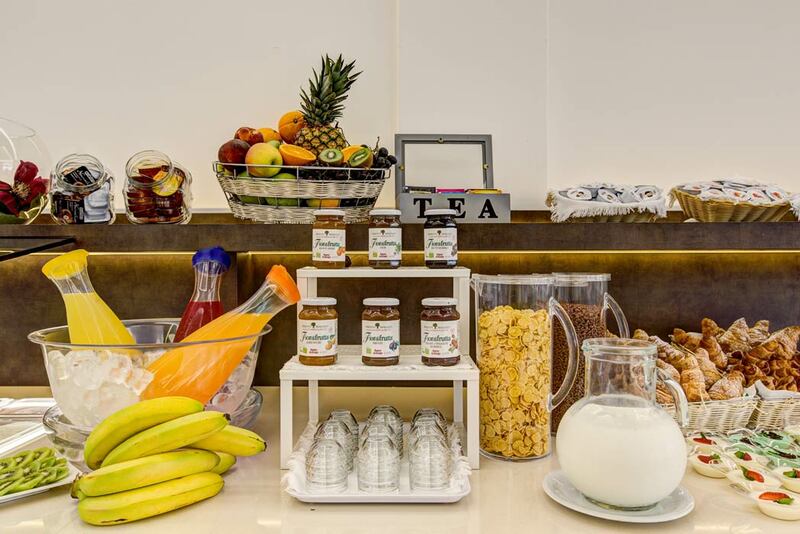 Let yourself be tempted by sweet and savoury croissants, delicious homemade cakes, cold cuts and cheeses, yoghurt, cereals and fresh seasonal fruit. 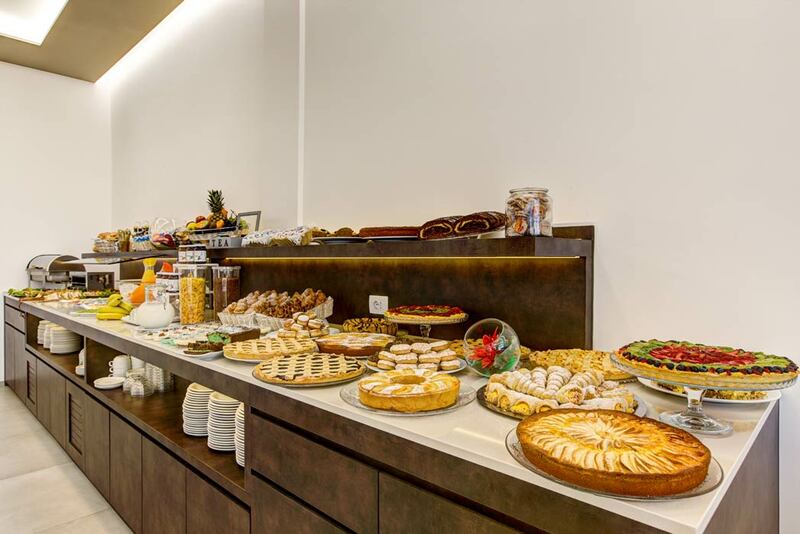 The breakfast at our hotel in Rimini is also suitable for guests with celiac. We have a wide range of Gluten Free products; do not hesitate to inform the staff of your every need.